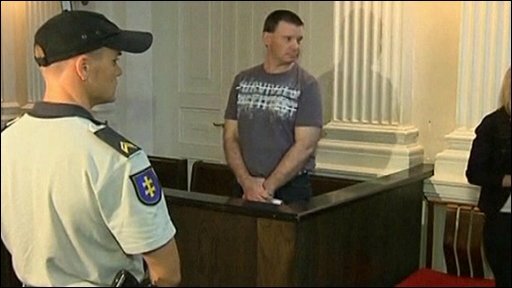 The trial in Lithuania of a County Louth man charged with trying to buy arms and explosives for the Real IRA has been adjourned until October. Michael Campbell, 36, was arrested in Lithuania after allegedly trying to buy weapons from an intelligence officer posing as an international arms dealer. His brother, Liam, is believed to be a senior Real IRA member, which opposes British rule in Northern Ireland. It was set up in 1997 after the mainstream IRA declared a ceasefire. Michael Campbell, wearing a T-shirt and jeans, faced the wall in court to avoid the cameras. The Dundalk man asked for reporters to be removed from the courtroom, but the request was turned down. The judge also rejected the prosecutor's request for the trial to be closed to the public. However, he said it could be closed when witnesses whose identities needed to be protected were testifying. The Real IRA has claimed responsibility for a number of serious attacks, including the murder of two British soldiers in Northern Ireland in March. Liam Campbell was one of four men held responsible for the 1998 Omagh bombing, following a landmark civil action. The Omagh blast killed 29 people. A judge declared there was cogent evidence that he was a member of the Real IRA's army council during the June trial. 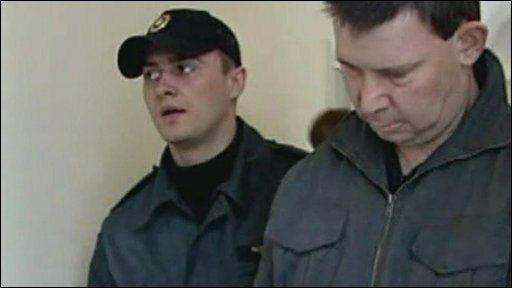 The Lithuanian authorities are seeking his extradition from Northern Ireland. Michael Campbell's arrest followed a sting operation involving the British, Irish and Lithuanian intelligence agencies. Prosecutors in Vilnius told the BBC that following a series of meetings in France and Poland, Mr Campbell eventually came to Lithuania, where he was kept under police surveillance. They allege he paid 10,000 euros (£8,600) for a haul of weapons including a sniper rifle, detonators, timers and about 10kg (22lb) of high explosives. He was detained after allegedly handing over the money in a garage in the industrial zone of Vilnius. The arms dealers were, in fact, Lithuanian intelligence agents. Mr Campbell has been charged with the possession and attempted smuggling of illegal weapons and supporting a terrorist organisation. The latter charge carries a possible 20-year sentence. But his lawyers question the means by which he was detained and also say there is not enough evidence to convict him. On Tuesday, the defence lawyers made a specific request for Mr Campbell to be released on bail as they said he was being held in poor conditions and had been denied family visits. However, the judge said a decision on this would be made next week.